This page is something a little different. It contains two primary things: Rewrites of some of my older fan fic ideas that I either never got to, or can't stop thinking about, and The Rookie Chronicles, which is really all that's left of my entire fan fiction 'career' before 2014. If you're going to read The Rookie Chronicles, then...all I can really say is good luck. I ended up going through and re-editing the entire series near the end of 2016, so it's a little cleaned up from its original state, but, for a number of reasons, I don't think it's very good. So why do I keep it up? Well, it had quite a following back in the day, and people sometimes come and re-read it again apparently. Anyway, if you do plan on reading anything from this section, I'd recommend basically everything but The Rookie Chronicles. 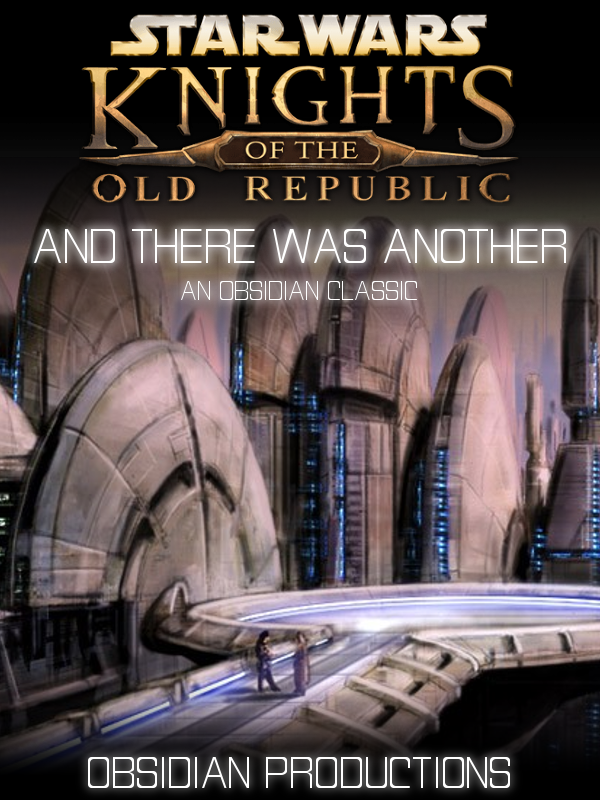 A Knights of the Old Republic fan fiction. In orbit over a backwater world named Taris, the Endar Spire, a Republic vessel, is being torn apart by the Sith battle fleet. Survivors flee in escape pods, crashing onto the cityscape that covers Taris. One such survivor is Seth Kast. A battle-hardened veteran who has been a soldier in service to the Republic for over a decade now, he finds himself in possibly the worst situation of his entire career: the Undercity of Taris. A sunless, forgotten place locked away beneath the surface of the cityscape, it is filled with suffering outcasts and exiles, ruthless gangs, and monstrous abominations called rakghouls. Working with a grim twi'lek bounty hunter, a stoic ithorian technician, and an awkward but skilled selkath medic, Seth must do whatever it takes to escape Taris, stay alive long enough to get back into the fight with the Sith, and help anyone he can along the way. Corporal Jared West has just awoken from a short coma to a world plagued by undead hordes of inhuman monsters. As he struggles for survival, he hunts desperately for answers, survivors, and just a few more bullets. The Rookie has a name. He's got a face, a past, and a voice. From New Jerusalem to the rainy streets of New Mombasa and beyond, this is his story. In the wake of peace brokered between Humanity and the Elites, a cache of Forerunner knowledge was unleashed. Among that data were locations of sites where the Flood waited in hibernation. A special branch of warriors, nicknamed the Yellowjackets, was formed to deal with these threats. One such squad must now fight for survival aboard a derelict vessel overrun with the Flood. The Rookie is back. With the Human-Covenant War over and the Flood defeated, the galaxy is now trying to rebuild. But something's out there. Something evil. Something powerful. Black Ops. Once a secret section of ONI, now a rogue faction with the best soldiers, the best ships, and secret knowledge that could end Humanity. It's up to the Rookie and a handful of others to stop them.